It takes a village! Thank to you the volunteers below for chairing events at Hunters Creek. For more information on any of the events below or to volunteer, click on the links below or visit our Volunteer page. If you are interested in helping with any of these events, please email any of the chairmen associated with the event. Email addresses can found using the school directory (free with a PTA Membership) or through MySchoolAnywhere. Auction… Come join the Hunters Creek faculty, staff and parents at this year’s auction. The auction is the school’s primary fundraiser. It will include a live auction featuring grade projects, a silent auction, class projects, dinner and dancing. Author Visits… Coordinate with the HCE Librarian on all author visits. Beginning Bonanza… On the first day of school, the committee hosts the “Beginning Bonanza,” a volunteer fair at which parents can sign up for various school activities and PTA committees for the year. Book Fair… The Book Fair is a great way to contribute to our library, to add to your personal library shelves, and to find gifts. Cultural Arts… Throughout the year, students receive enrichment through presentations given by various groups from our culturally rich city. D.A.R.E… A police officer from Memorial Villages Police Department teaches this drug prevention program to 5th graders. At the end of the course, students have D.A.R.E. graduation and receive certificates of completion. Directory – Ads… Sells ads to both parents and new/old businesses. Also, meets with printer and data chairs, provides ad layout for directory, and delivers directories to advertisers. Directory – Data… Collects family data from MySchoolAnywhere to be printed in the school-wide directory. Responsible for printing and distribution of directories. Family Fair… A fun-filled afternoon for the whole family with games, food, treat walk, photo booth, silly string, confetti eggs, and much more. Field Day… Students participate in a variety of athletic activities and earn ribbons for completing each activity. This event is held during the school day. Fifth Grade Celebration… Multiple events for 5th grade: field trip, end of school party, video, memory book and t-shirts. The 5th grade class also donates a gift to HCE. Fifth Grade Track Meet… Coordinate the 5th grade track meet. Financial Reconciliation Committee… This committee is comprised of three current PTA members, approved by the Executive Committee. They are charged with reconciling the PTA financial records from the previous school year, and reporting their findings to the general PTA. This audit takes place during the month of July. Hands on Science (HOS)… Students in 4th & 5th grades receive enrichment in their science classes through hands on experiences in physical science, anatomy, physiology, and dissection. Parent volunteers assist students. HCE Annual Fund… The Write-a-Check Campaign generates income for the HCE PTA. Funds raised support our programs, supplemental teacher salaries and other PTA expenses. Hospitality Chair/ Teacher Appreciation Lunches… Includes luncheon at beginning of the school year to welcome the staff and PTA chairs (on the Friday before school starts), refreshments at monthly PTA meetings, and flowers for September and May meetings which are held in the homes of HCE families. Also includes teacher appreciation lunches several times during the year. Lifetime Membership… Coordinates the Lifetime Membership awards given to outstanding volunteers at HCE. These awards are presented at the May PTA meeting. Lunch with Heroes/Special Lunches… Coordinates the annual Lunch with Heroes – remembering 9/11 and honoring our local heroes. Grandparent’s day will also be celebrated this year by a special lunch event. Marquee… Maintains the marquee on the HCE campus. Membership… All parents are encouraged to join the PTA. Membership includes dues for the local PTA, as well as state and national congresses. Our Goal: 100% participation at Hunters Creek Elementary! Newsletter Editors… Publishes the newsletter every week for distribution to the HCE community. 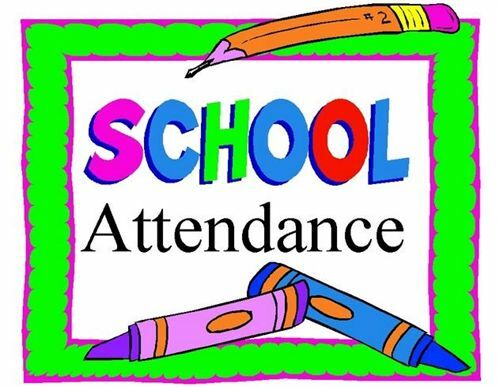 Front Office Volunteers… The school office relies on the assistance of parent volunteers. Office volunteers generally work a 2 ½ hour shift once a month. Teacher Workroom Volunteers… Teachers rely on volunteers to help copy, laminate, cut and paste various worksheets and items for their classrooms and grade levels. Please consider signing up for a regular shift once a month in our Teacher Workroom. A shift may take ten minutes or two hours, but what a great way to volunteer and help our teachers! Parent Education Coordinator… Set up parent education seminars. Subjects have included: child rearing, computer safety, nutrition and de-stressing. Planning Committee… This PTA committee is made up of the chairman, the principal, and parents who have been invited to serve. The purpose of this committee is to investigate, review and prioritize the needs of our school so that funds raised by the PTA in excess of the budget are spent wisely, timely and consistently with the goals of the school. Any parent or teacher is welcome to research an idea and request funds from the Planning Committee. Recommendations of the Committee are presented to the General Membership of the PTA for a vote. Rebates/Spirit Nights Program… This program earns money for Hunters Creek through grocery store rebate programs, box tops for education, Spirit Nights, etc. Red Ribbon Week/ Drug Awareness… Each fall during this week, communities unite to educate children about the harmful effects of drugs and alcohol and show them the benefits of a healthy lifestyle. In conjunction with the school counselor, ribbons are hung around the school and programs are coordinated to increase awareness of the dangers of drugs. A small prize raffle is held each day. Reflections… Students may enter a cultural arts competition with original prose, photography, art or music compositions. A theme is given for the students to follow. The program starts in October. Room Parent Chairs… Each class has a parent volunteer who is the liaison between the teacher and parents and assists the teacher with classroom activities (as needed). Responsibilities include creating a classroom roster and parent email list, obtaining parent volunteers for class parties and events, coordinating recognition of teacher birthdays, and communicating volunteer opportunities for events such as Family Fair and Winds of Time. Room parents are selected the first week of school from those parents who express interest by returning the room parent selection form. SBEF Liaison… Representative to Spring Branch Education Foundation. Attend SBEF meeting in September, Crystal Awards in February and coordinate Running for the Arts in May (with kick off lunch in March). All proceeds go to SBEF. School Supplies… Coordinates the ordering of school supplies by grade level. Gathers school supply lists from grade level team leaders, arranges the ordering of the supply packets and pre-sells the supplies in the spring prior to the next school year. Also sells the packets to new families at the start of school. Science Fair… This event encourages fourth and fifth grade students to think like young scientists. It culminates with a viewing by all the classes and an evening viewing by family and friends. Spirit Coordinator… Coordinate the online store sales of all HCE spirit items. Spelling Bee… 3rd – 5th graders compete in classroom bees in December. The top two spellers from each classroom bee advance to the school-wide bee, which takes place in January. Winners of the school-wide bee advance to the district-level bee. Gallery Night/Student Displays… Setting up art and student work display in the hallway and cafeteria. Assists the Art Teacher in setting up Gallery Night. Summer Reading/Book Exchange… This program encourages students to read over the summer. The program provides one book to every student at HCE at end of year, including 5th grade students and certificates in the beginning of the school year when the reading logs are turned in. Teacher Basics and Beyond… These items are specially selected by the teachers and staff to enhance the curriculum at Hunters Creek and may include teaching materials for specific grade levels, health fitness, music and art. Volunteer Records… Records volunteer hours and submits it to SBISD for volunteer monetary contributions. PTA Store & PTA Website… Update the HCE PTA website with PTA resources, forms, board information, and calendar information. Yearbook… The yearbook contains photos of individual students, class groups, school functions and PTA activities. The books will be delivered to the students in May. Yearbooks are not available for sale at the end of the school year, so order early. Yearbook printing deadlines are in November, January and March. Photo editing using photo software.